It’s a big piece of machinery that does a big job and its presence is a big gift to local industry. A new Haas VF-4 computer numerical control vertical machining center with five-axis capability was installed at the Center for Applied Competitive Technology for College of the Canyons at its off-campus location inside Aerospace Dynamics International Inc. on Friday afternoon. 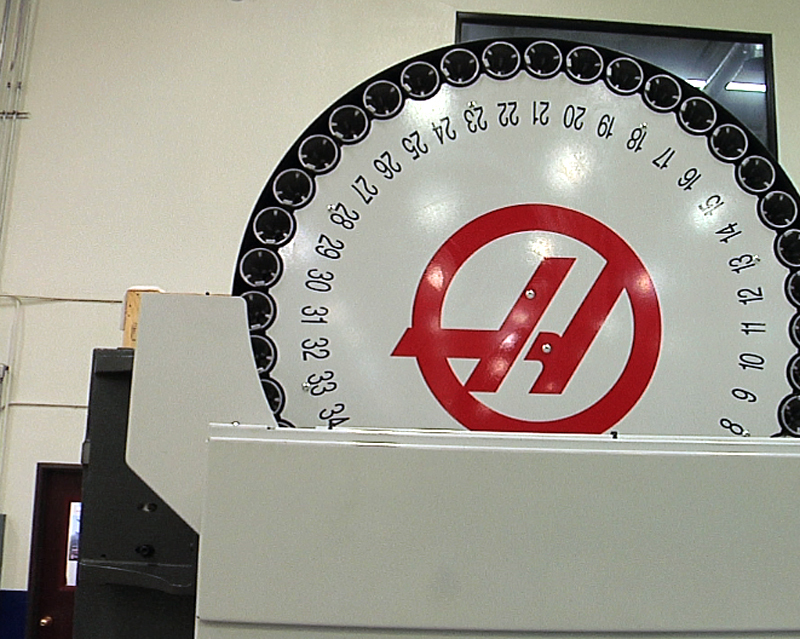 This piece of high-powered equipment, valued at approximately $142,000, is being generously provided free of charge by Haas Automation of Oxnard, as part of an entrustment agreement that will allow the college free use of the equipment and greatly enhance the training capabilities of the Center. “This machine will allow us to launch a whole new series of trainings designed for local manufacturers, which will integrate computer-aided design, computer-aided manufacturing and five-axis CNC machining,” said center director Joe Klocko. haas2″We’re going to be taking them through a transition from traditional three-axis machining to five-axis so they can do multiple geometries and make more sophisticated parts which is where the aerospace industry is headed now,” Klocko added. The majority of the program’s resources are dedicated to training students for the branch of manufacturing concerned with both aviation and space flight as well as biomedical and automotive technologies. Klocko says CACT will taking employees from local manufacturers over the next several months and upscale their skill-set to involve the updated geometrical computing knowledge as well as allow them to design more complex parts. In subsequent weeks, personnel from ADI will connect the machine to the facility’s electric and air lines and run several functionality tests, before the machine can become fully operational. This is great for our classes. I have been waiting for years to have this opportunity to teach a Cadcam class in 5axis and to give the students an option to actually learn how to set the machine up and cut a part. This brings a lot of opportunities for the local companies that have been thinking about buying a 5axis machine just like this one. COC is now able to offer a way to learn how to use this now growing technolgy and be competitive against other shops in the area. The programs are dedicated to trained students for the branch of manufacturing complaints. Machine allow to launch the whole new series of trainings design for manufacturers.